The Sony Librie was certainly not the most successful ereader, but it paved the way for all that came after. Its influence can be seen in everything from the keyboard on the original Kindle to the 6" screen found on most ebook readers today. Weighing in at 10.6 ounces, the Librie sported the first commercially available 6" E-ink screen, with the now standard 800 x 600 resolution. It had a keyboard, page turn buttons, a paltry 10MB internal storage, and a card slot for a Sony Memory Stick. It was powered by 4 AAA batteries, and read Sony's proprietary BBeB ebook format (later used on the Sony Readers). Retail was a not too unreasonable 41,790 yen (about $410). While that is damned steep by today's standards, computers and other electronics cost 3 and 4 times as much back then as they do now. But in spite of the Librie's lack of success, it still influenced all the ereaders that came after it. 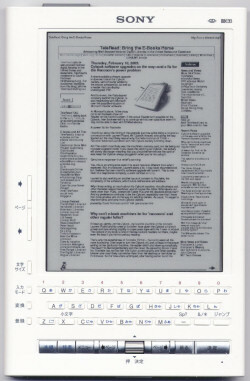 It used a 6" screen which was developed by E-ink, Sony, and Phillips (and manufactured by Toppan). I was told by a contact at Toppan that this screen geometry was chosen because it closely resembled the dimensions of a standard size for paperback books in Japan. 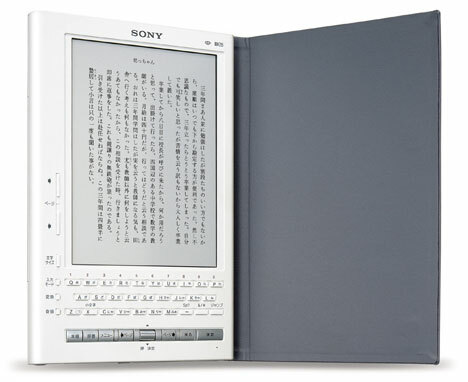 Sony funded the development just so it could be used as an ebook reader, and it is not unreasonable to say that without Sony's funding this particular screen geometry might never have existed. Without the Librie there would have been no screen for the Kindle to use when it launched in 2007. Sure, there's a chance that Amazon might have funded the development of an E-ink screen for the Kindle, but your guess is as good as mine what the Kindle would have look like. Jeff Bezos is famous for saying that Amazon will only get into a market when they know that they can outperform the existing players. 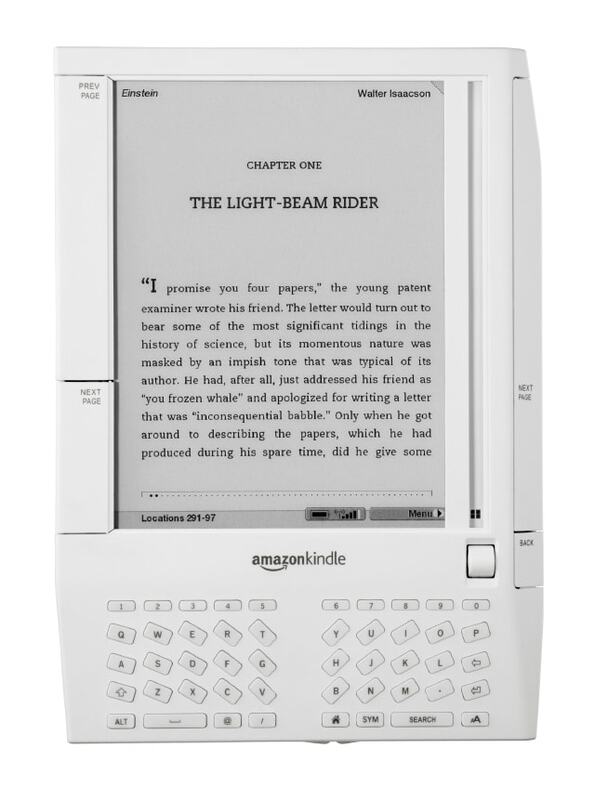 I would not be surprised if the original spark of the idea of a Kindle with an E-ink screen was ignited when someone at Amazon looked at the Librie and said "we can do better". Sure, it has been widely reported that Bezos influenced the design of the original Kindle so it looked more like his Blackberry, but the original idea of having a 6" E-ink screen and a keyboard? That was probably influenced by the Librie. Don't get me wrong, I think Amazon would have used ebooks to disrupt the book industry at some point, but I also think that without the Librie Amazon might have taken a very different path. The Librie was not the only ereader on the market during that era, so if it had not existed Amazon would still have been inspired by other devices - like the Rocketbook, for example. This was launched in 1999 by Nuvomedia. While it didn't amount to much, later models based on the RocketBook were still on the market in 2004, 2005. Those devices had a 5.5" LCD screen with a touchscreen and stylus. If the Librie hadn't existed, Amazon could well have decided to give the first Kindle an LCD screen. Battery life would have been terrible, but if the alternate Kindle still managed to keep all of the features then I for one would not have cared. So folks, if you like the screen on your ereader, and if you like the weeks or months of battery life, and if you like the option of comfortably reading outside, then tonight I would raise a glass to the Sony Librie. P.S. In case you're interested, I missed the anniversary of the press coverage by 3 days. Nice write-up, and so true!